Lloyd Flanders is a designer of classic and contemporary outdoor furniture. As a retailer of Lloyd Flanders furniture, we know the frames well and have been creating custom and replacement Lloyd Flanders cushions for years. At Cushion Corner®, we offer beautifully custom outdoor cushions and pillows to elegantly match your Lloyd Flanders furniture. 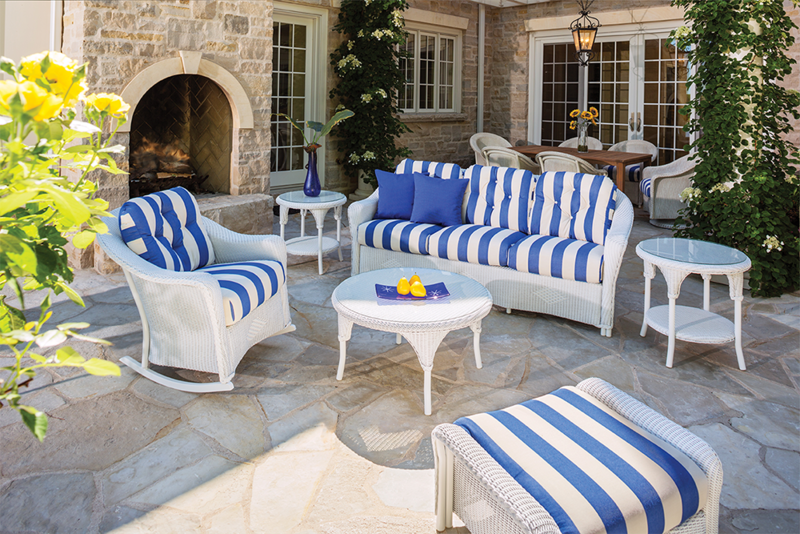 Customizable with any fabric and accent, our experienced team will hand craft your outdoor replacement cushions with precision and care. Call us today for a free quote!